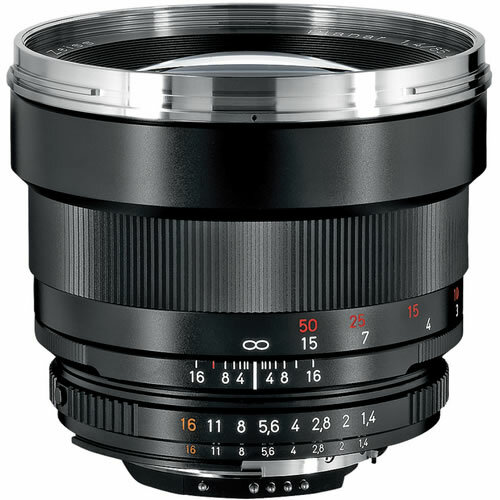 The Zeiss Planar T* 85mm f/1.4 ZF.2 Lens for Nikon F-Mount Digital SLR cameras is a telephoto lens which has a classic portrait focal length and performs exceptionally well at medium to longer distances. With a 6 element lens in 5 groups and the Zeiss T* lens coating, you can expect distortion-free performance, which only improves as the lens is stopped down. The f/1.4 aperture is very useful for shooting in low light, creatively controlling depth of field, and its nearly circular diaphragm helps create a pleasing look in your photo's out-of-focus areas. 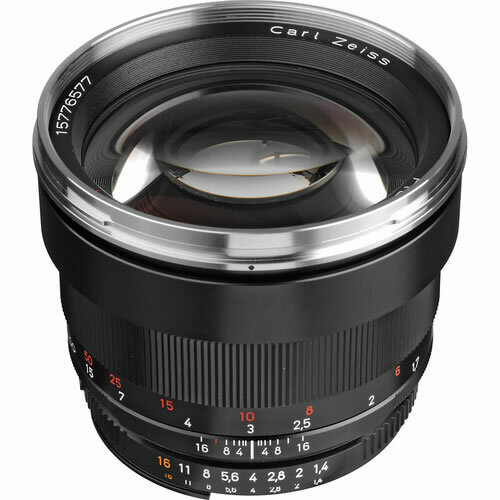 This Zeiss ZF.2 lens is designed for use with Nikon F-mount digital SLRs. Thanks to an electronic interface (CPU), ZF.2 lenses support all important camera functions such as the automatic mechanisms for time, aperture setting and program. The CPU also supports manual exposure settings, including those for cameras that are not AI-compatible. Since the lens transmits EXIF data such as manufacturer, date, metering system and exposure to the camera, photographers do not need to set their parameters manually. The quicker and faster handling capabilities of ZF.2 lenses are especially useful under hectic shooting conditions.